Over the past two years, Flaneurz had the opportunity to collaborate with prestigious shoes brands for their style, the o their products quality and their universe. The shoe is a Flaneurz pair key elements : we are proud to always offer other combinations for new skating sensations. Today, we present you an exclusive model designed with the feline brand style offices: an overview of the new Puma x Flaneurz rollers collaboration. Founded in 1948 by Rudolf Dassler, Puma quickly specializes in shoe and textile innovation. The brand products bring added value to the athletes lives. Known for having been the first to think and propose crampons screwed under sneakers soles, innovation is part of the company values. Its fame is confirmed in the 80s after collaborating with athletes such as Pelé or Maradona. Recently, the brand is surrounded by Rihanna, who is more than a brand ambassador has been a real creative director. Also seen at the Antoine Griezmann feet, football world champion, the brand is present both in sports and in fashion world. 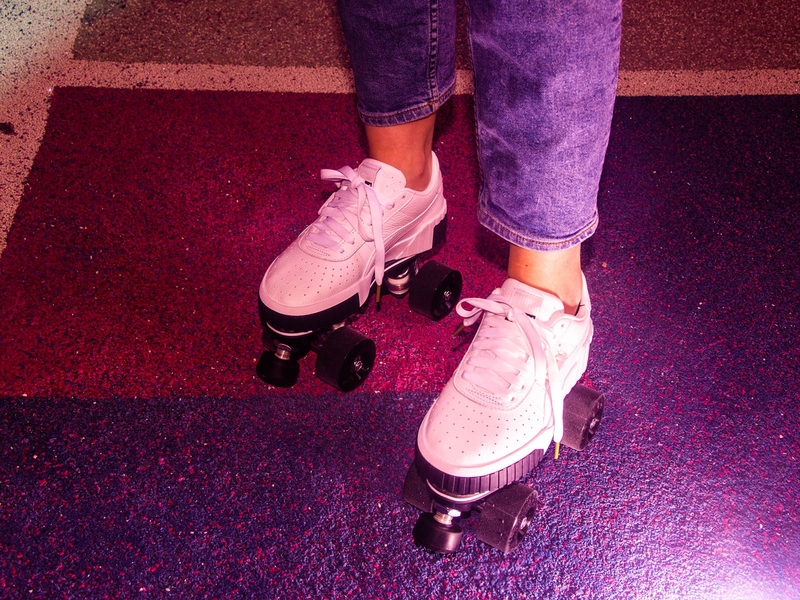 If Puma rollerskates don’t exist yet, the collaboration between the leap feline brand and Flaneurz -specialist in shoes transformation and innovative clean urban travel- will make this possible. 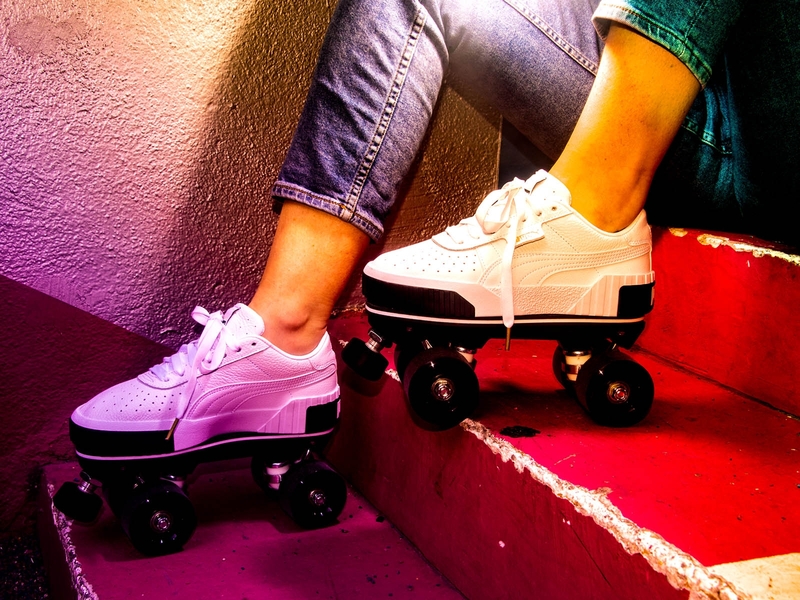 The result of meeting between Flaneurz and Puma, is a new detachable rollerskates. Fall is coming, then Puma offers a new color for its Cali sneaker. Inspired by the sportsmen, this timeless model is reappropriating the street in a monochrome version. We find the Californian spirit with this pair, due to the contrasting elements of its sole. This shoe have an optimal foot support, to achieve your own Flaneurz with our Custom offer. For the new shoes color release that you can find from 10th of November in Puma shop, we have imagined Puma rollerskates to celebrate California. Offered with a First rolling part, suitable for beginners, this Flaneurz pair will delight those present at the #CaliRollerParty. We are delighted to collaborate with Puma as well as to be able to illustrate an other customisation for your Own Flaneurz. Feel free to join us on our social networks (Facebook, Instagram and LinkedIn) and to subscribe to our newsletter to be the first to know all our actualities. Flaneurz at your feet, let you slide to California.